Following the pioneering work of Schuessler et al. 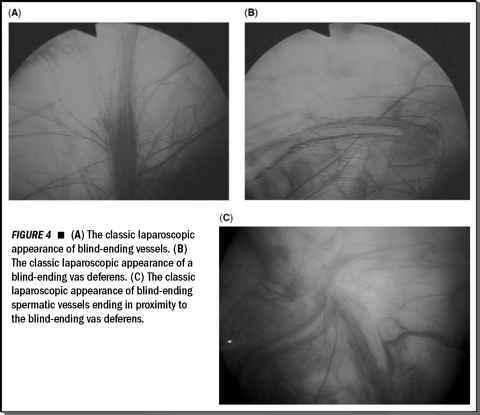 (1), laparoscopic radical prostatectomy was propagated mainly using transperitoneal approach (2-4). Most laparoscopic centers, including ours, considered that primary access to the seminal vesicles was the key step of this technique (2-5). However, some concern has been voiced because this technique transformed a traditionally extraperitoneal procedure (open retropubic or perineal radical prostatectomy) into a transperitoneal one, with unique potential complications (6-8). In 1997, Raboy et al., (9) described a modification of this procedure, the extraperitoneal approach, which was later developed by Bollens et al. (10,11). Following Bollens et al. 's experience, we started performing laparoscopic radical prostatectomy in 1998 using the transperitoneal approach, and we switched to the extraperitoneal approach since 2002 (10,11). Other teams embarked in this approach since then (8,12). Our preliminary results with extraperitoneal technique convinced us to further develop this approach, abandoning the transperitoneal technique (13). Between February 2002 and May 2004, we performed more than 300 laparoscopic radical prostatectomy via this extraperitoneal approach. Herein, we describe our standardized extraperitoneal laparoscopic radical prostatectomy step by step.